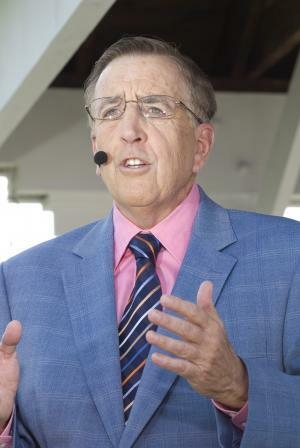 Brent Woody Musburger was born on 26 May 1939, in Portland, Oregon, USA, and is a sportscaster, best known for being part of the ABC and ESPN television networks, and was formerly associated with CBS Sports. He was an original member of the program “The NFL Today”. All of his efforts have helped put his net worth to where it is today. How rich is Brent Musburger? As of early-2017, sources inform us of a net worth that is at $12 million, mostly earned through a successful career as a sportscaster – he reportedly earns $4 million per year thanks to his numerous programs. He’s covered various professional sports leagues, and all of these achievements ensured the position of his wealth. When Brent was younger during the 1950s, he began in minor league baseball as an umpire. He attended Shattuck-St. Mary’s School and later went to Northwestern University’s Medill School of Journalism. He only stayed with the university for a year because he was kicked out after it was discovered that he was operating a car without a license. Musburger then found work as part of the newspaper Chicago’s American on which he became a sportswriter. In 1968, Brent would start associating with CBS as a sports anchor for WBBM, and later WBBM-TV. He then moved to Los Angeles and worked on sports for KNXT, becoming a co-anchor on KNXT’s evening newscasts from 1978 until joining “CBS Sports” full time in 1980. Prior to joining the show full-time, he was already doing play-by-play, and would then become a prominent name when he joined “The NFL Today”; his net worth started to increase at this point. He would also cover other sports such as basketball, tennis tournaments, horse racing and college football for CBS. As part of “The NFL Today”, the show consistently rated as the number one pre-game show around the US. In the late 1980s, Brent was the top sportscaster in CBS, and his net worth was increasing at a significant rate; he became the main host of numerous shows and even the New Year’s Eve countdown, however, in 1990 after numerous management changes, he was fired from CBS and did his last show with them during the 1990 NCAA men’s basketball final. Musburger subsequently received numerous offers, but eventually settled at ABC with which he focused on college football and basketball; he was also allowed to work with ESPN after the two companies merged under the Disney umbrella. He’s hosted numerous sports as part of ESPN, including being the main studio host during the 1998 World Cup. He also did Tour de France coverage for ABC, but in the next few years, he would start to focus on a lot of college football duties, including the primetime series called “2007 Rose Bowl”. In recent years his coverage has been infrequent though he’s been seen covering select football games for both networks. For his personal life, he has been married to Arlene Clare since 1963, and they have two sons. Brent has a reputation for pointing out attractive women in crowds, including Jenn Sterger and Katherine Webb. He’s also the boyhood friend of baseball star Dave McNally. Brent’s brother Todd Musburger is a well-known sports agent. 1 Inducted as an honorary member into the Northwestern University Athletic Hall of Fame in 1991. 2 Attended Northwestern University (Evanston, IL). 3 He is a sportscaster.